Elwood Calvin Anderson was the second son of Harry and Cleo Anderson. He had three brothers: Donald, Harry Jr. and Dwight; and three sisters: DeLoris, Elaine and Mavis. 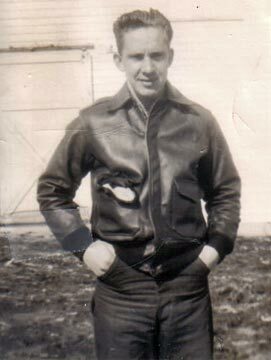 Elwood attended school in Dwight, North Dakota, and entered the Army Air Force in May of 1946. 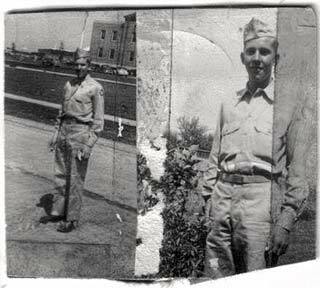 He received basic training at Chanute Field, near Chicago, Illinois. About the summer of 1948 he was discharged and returned home. 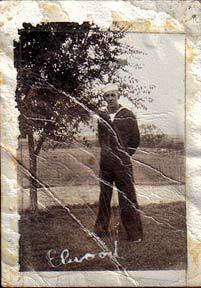 He enlisted in the Navy in 1949 and served on a submarine. He was given a medical discharge after a submarine disaster off the coast of Connecticut. He lived in the Dwight area at the time of his death. With his wife, Lorene (Jacobson) Anderson, he had three daughters: Bonnie Faye, Susan Renee (now Sue Wright) and Vicki Lynn. They all live in California today. Elwood Anderson in Navy uniform, left; in Army Air Force, right.